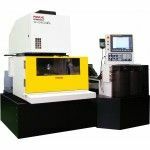 FANUC Corporation is known around the globe for their manufacture of Factory Automation solutions such as CNC controls, Industrial AC Motor and drive technology, laser units, Industrial Robots, High Speed Drilling Machines, Electric Plastic Injection Moulding machines and EDM travelling wire spark erosion machines. 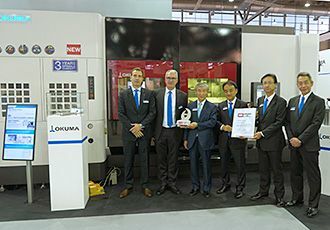 OKUMA Australia is the exclusive distributor for the FANUC ROBOCUT Series EDM travelling wire spark erosion machines. Z axis 500mm stroke specification has been added to large size machine α-C800iB line-up.